Customers will definitely remember your brand as they take advantage of this gorgeous data storage device. A custom promo item such as this can travel to different places and be seen by many. The uniqueness of the shape means you don't need to create your own custom shape but to simply choose this style instead! The slim casing makes it perfect as a mail out or attached to a presentation folder. 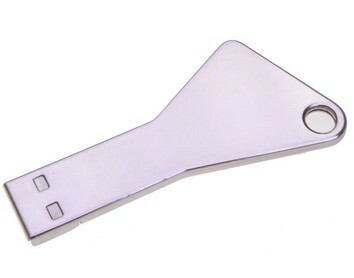 This customised flash drive measures 62 x 29 x 4 mm and the print area measures 42 x 9 mm. 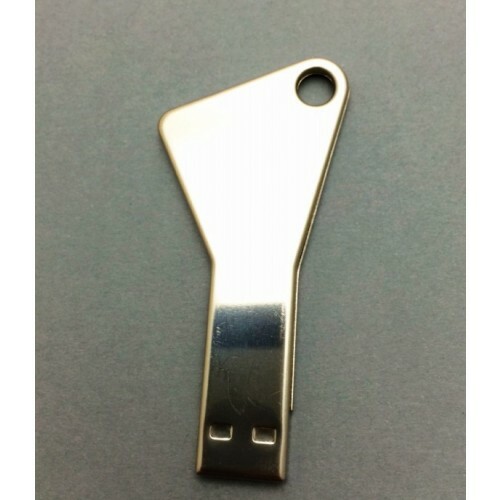 It is made of metal so that the logo can be printed and engraved. Colour options include Silver or oxydising to any colour (such as blue, green, red etc). The storage capacities to choose from are 1GB/2GB/4GB and 16GB. Pricing is inclusive of a one colour one side logo print and the print set up cost. 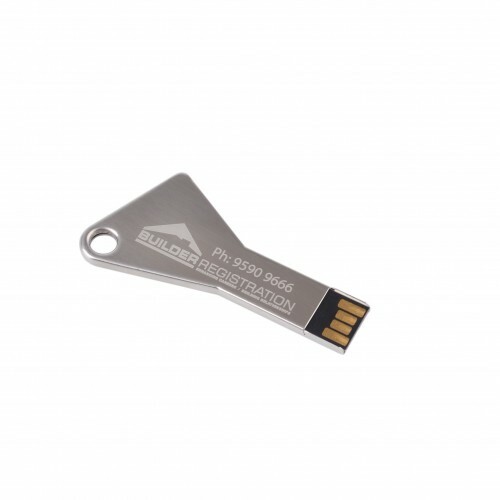 We can upload your data onto this personalised flash drives up to 150MB file size. These printed items are packed in individual polybags and they can be enhanced with optional accessories including a magnetic gift box/ tin case/ PVC clear case/ mini lanyard/ long lanyard/ key ring and velvet pouch. 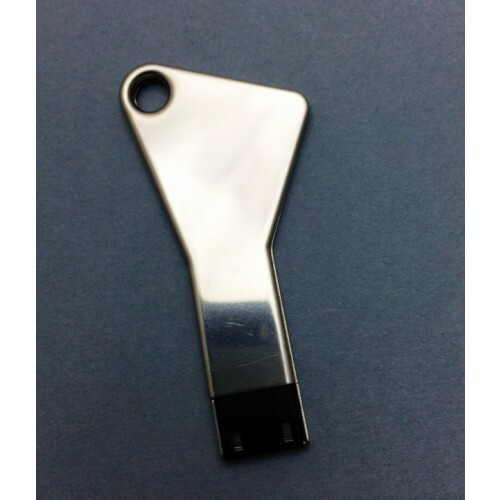 Your brand will greatly benefit from the Tri Key Flash Drive. 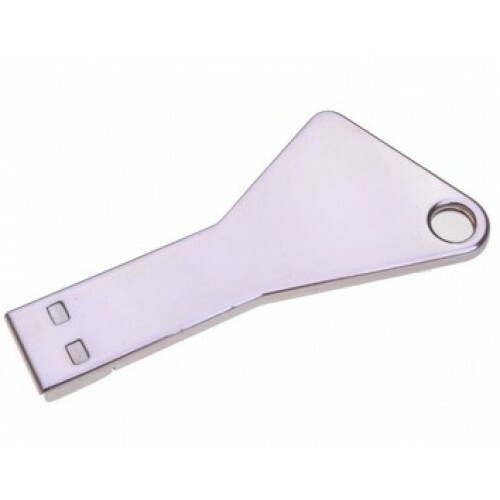 These flash drives are able for branding from orders of 50units. With all bulk orders of memory drives we offer delivery to your business door steps. We can delivery right across Australia . The turnaround time is approximately 2 weeks from your artwork approval. Fast turnaround is available, see our 3day printed USB section Quoted prices are ex GST. Delivery is free with standard 2 week production order. Delivery is overnight to Sydney metro area. Melbourne Brisbane or Canberra is 1-2 working days. Up to 5 working days to all other states. To order and buy our flash drives branded with your logo why dont you ask us by picking up the phone to call us or simply hit the enquire button to get in touch with us for a free quote and a free mock up.